There could be different reasons why people choose Linux as an operation system. It can be the fact that it’s free, interesting to use for those who like meddle with computers, or any other reasons. Along with its multiple advantages, there is still lack of good software for Linux systems. Especially in video surveillance. Most video surveillance software developers offer products for Windows and Mac users. 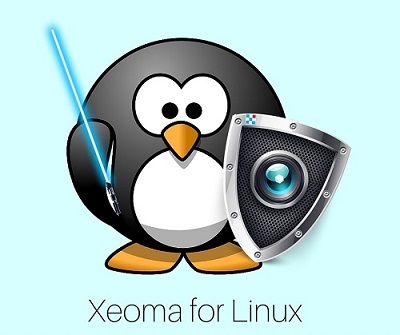 Xeoma didn’t forget about Linux lovers and lets you build your own Linux CCTV system easily. Xeoma is Linux video surveillance software that meets all the needs of both non-specialists and professionals. Nearly 99% of all existing cameras are supported, let it be analog, IP, USB, web cameras or DVRs. Xeoma Linux CCTV software offers you a variety of intellectual modules – Visualization of Movement (objects’ movement path is visualized) , PTZ Tracking (your PTZ camera is moving with an object), Visitors Counter (count people in a room), Problems Detector (will notify you if there is a problem), and many others. Xeoma Linux video surveillance software can be used even for Linux without graphical shell. Just launch Xeoma Server on it, and connect remotely from Client part on any other device, let’s say from Android tablet, to be able to set the system up the way you want. So if you are a Linux operation system owner, looking for a stable and trustworthy video surveillance software, we’ve got a great solution for you – Xeoma Linux CCTV! See our Linux surveillance software step by step manual for installing Xeoma on Linux for your convenience.